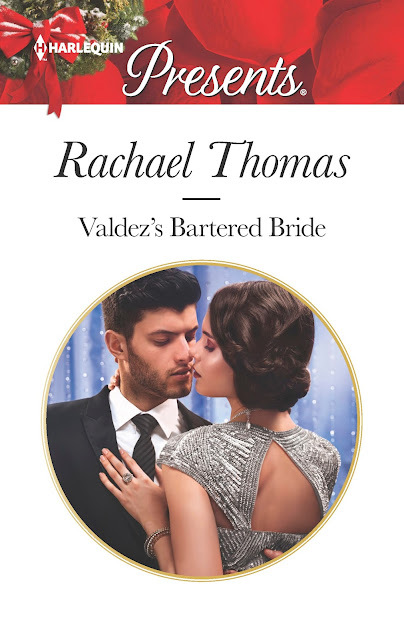 Seeing my new cover for the first time is always exciting and my next book, Valdez's Bartered Bride, to be released in November 2017 doesn't disappoint. It's just as I imagined when writing the book. And the all important back cover blurb ..
Blackmailed into marriage... by Christmas! Genealogist Lydia Carter-Wilson is horrified by the debts her father has run up in her name. Then magnate Raul Valdez approaches her with an outrageous proposition. If she helps him claim his inheritance, he'll pay off her debts and save her tarnished reputations. But there's a catch. If she fails, she will marry Raul on Christmas Eve! No matter their instant and electrifying attraction, Lydia knows Raul's proposal amounts to blackmail. Yer faced with an impossible choice - risking ruin or becoming Raul's bartered bride - Lydia finds she cannot resist her desire to make a deal with the dark-hearted billionaire!